Two organisations will mark World Mental Health Day by hosting a joint event to raise awareness. Staff from Sandwell and West Birmingham NHS Trust (SWBH) will be at Oldbury Library where they will showcase the help available to sufferers of mental health conditions on Wednesday, 10th October. Drop-in sessions will show visitors how to look for reliable information and be made aware of how to access the right help. The event is part of a campaign, organised by Public Health England. 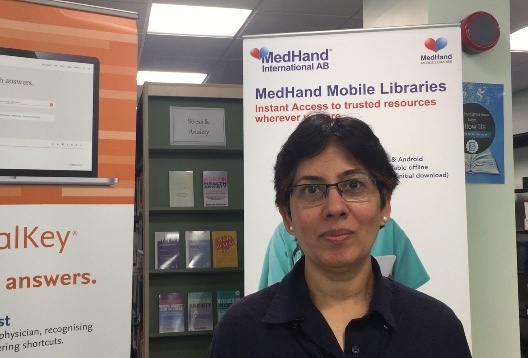 Preeti Puligari, Library and Knowledge Service Manager at SWBH, said: “We are delighted to be working with Sandwell Public Libraries to run this much-needed event. Mental health is such an important aspect of wellbeing. By working with our partners, we hope that more people will be aware of mental health issues and seek the right help. There will also be interactive workshops where two mental health experts from the Black Country Partnership NHS Foundation Trust, will offer advice on how to cope with depression. The event will take place at Oldbury Library in Jack Judge House between 11am and 3pm. For more information please visit http://www.discoversandwell.co.uk/event/world-mental-health-day-sandwell-libraries/.